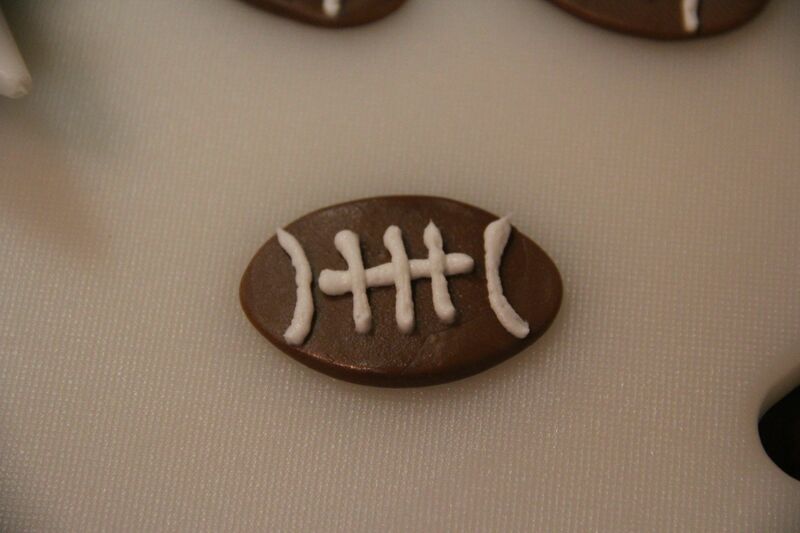 These little footballs are pretty easy to make once you get the hang of it. 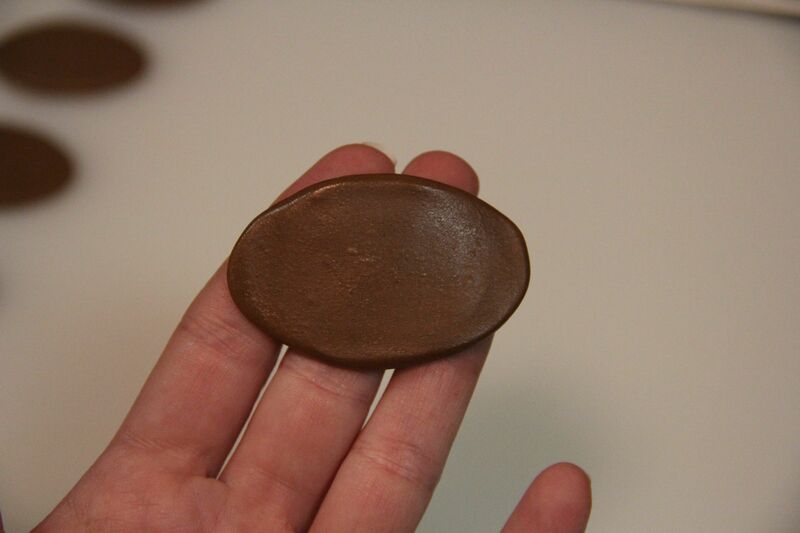 I tried a few different methods for shaping them before I figured out what worked best for me; luckily it also ended up also being the easiest method. 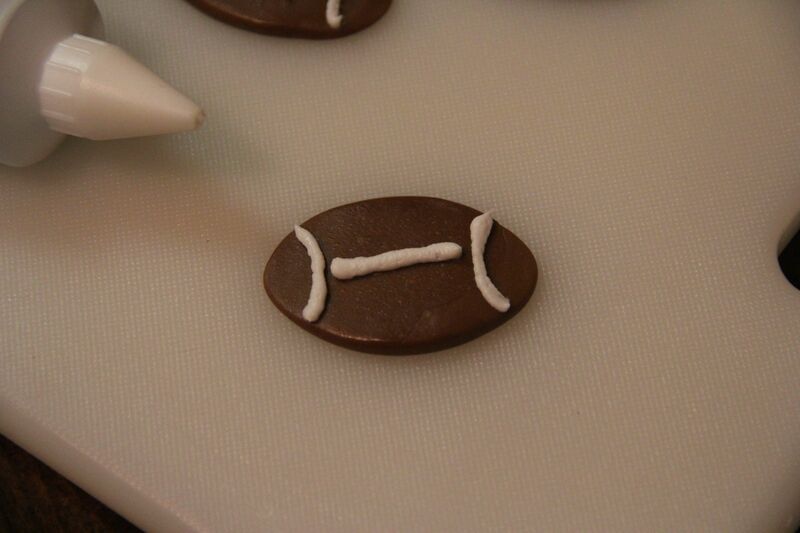 All you need to recreate these little pigskins (gross) is some mini Tootsie Rolls, some white frosting and a rolling pin. Let’s get started! 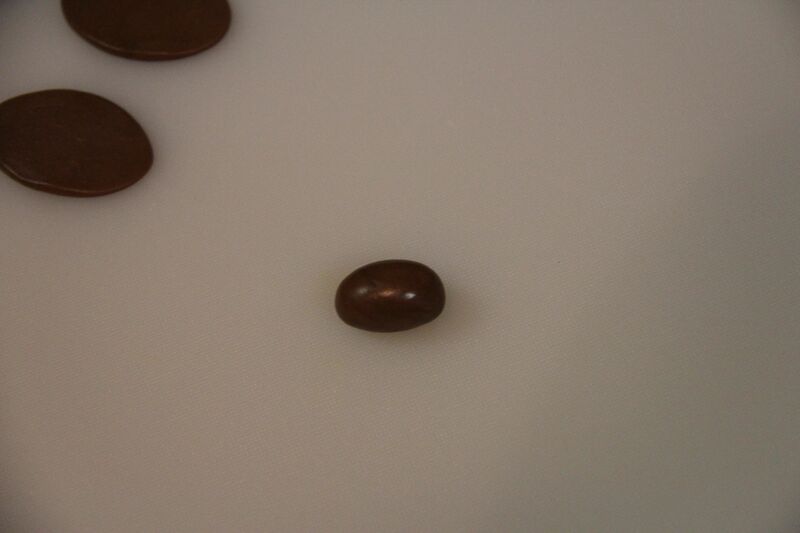 Unwrap it and pop it in the microwave for a few seconds. 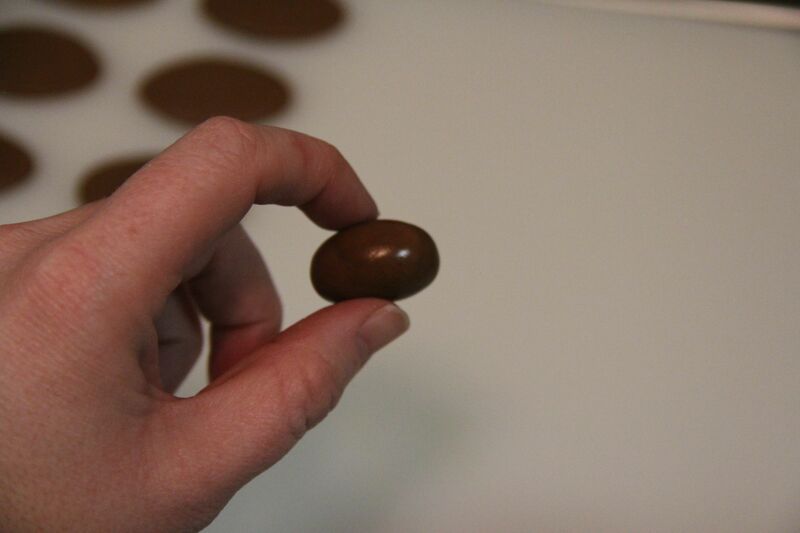 You want the candy to be soft enough to mold but not hot enough to burn your fingers (and believe me, it will burn. It will actually stick to your fingers while it burns them and you’ll panic a little trying to figure out how to get it off without burning your other fingers). 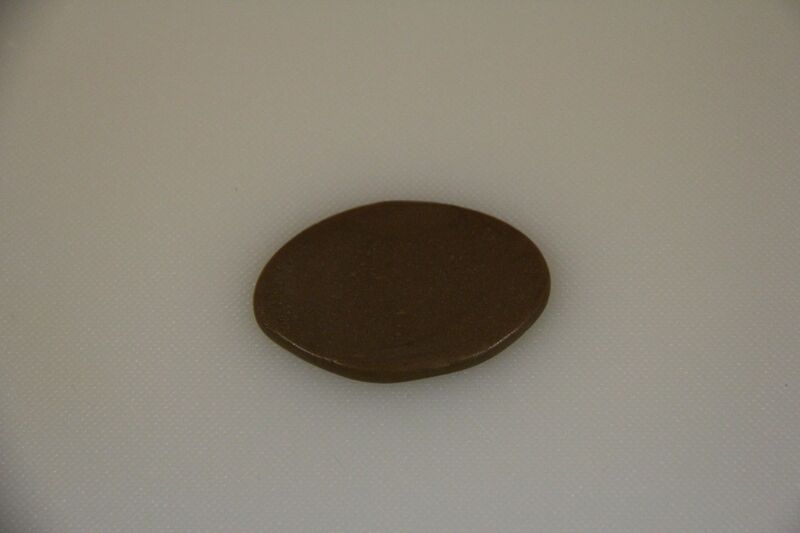 Depending on the strength of your microwave, anywhere between 5-10 seconds will work. Start off with 5 seconds and see how it goes. 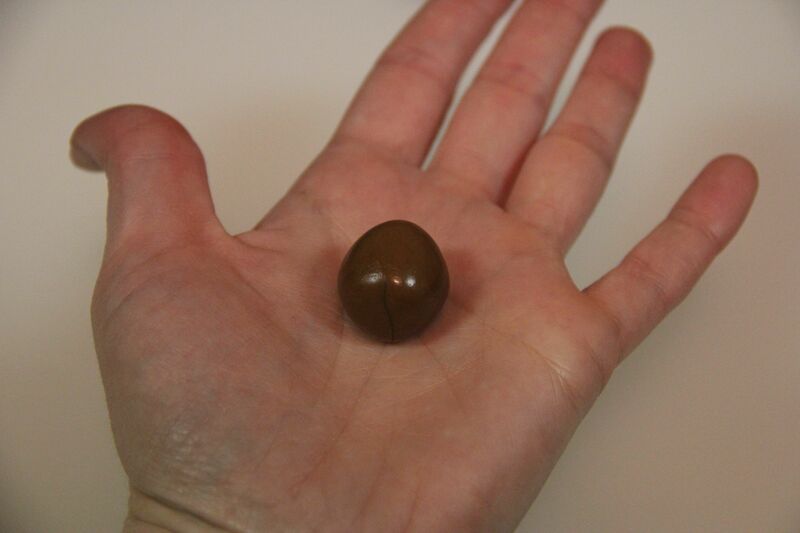 Knead the candy a little bit with your fingers to lose the original shape, then roll it between your hands to form a ball. 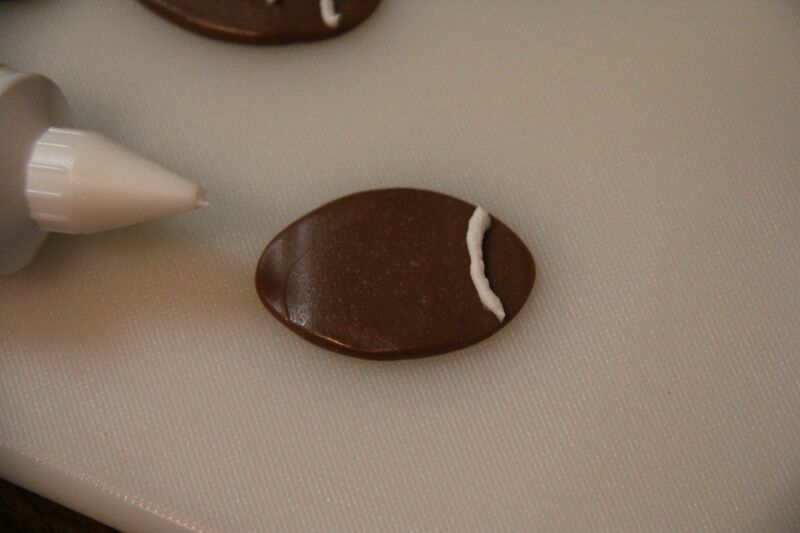 Then roll the ball back and forth between your hands a few times to make an egg shape. That’s not really an egg, is it? A sphere? A prolate spheroid? and roll it out a little bit with a rolling pin. 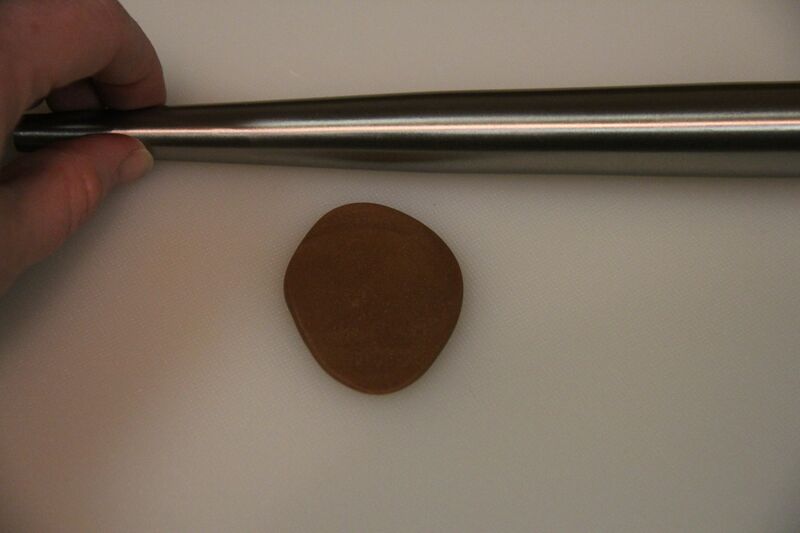 Full disclosure: that isn’t a rolling pin, it’s part of a turkey baster. 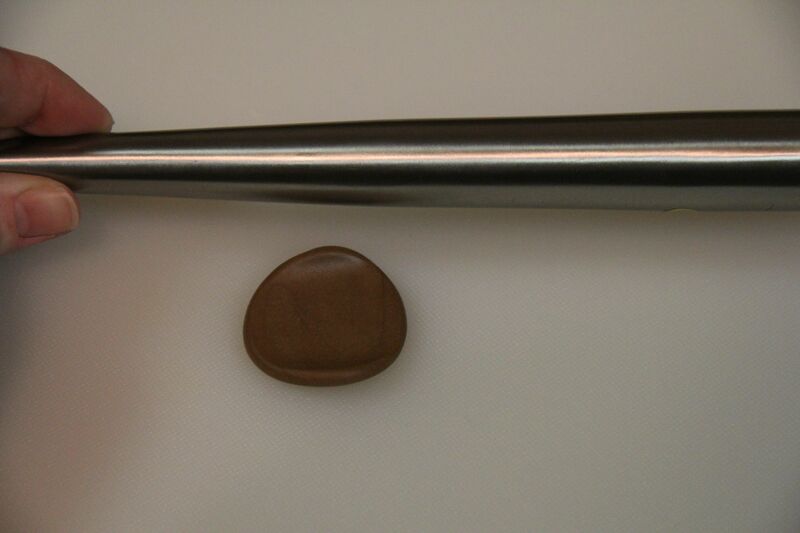 The rolling pin that I have is big and heavy and I wanted something that would give me a little bit more control. High-tech stuff here, folks. 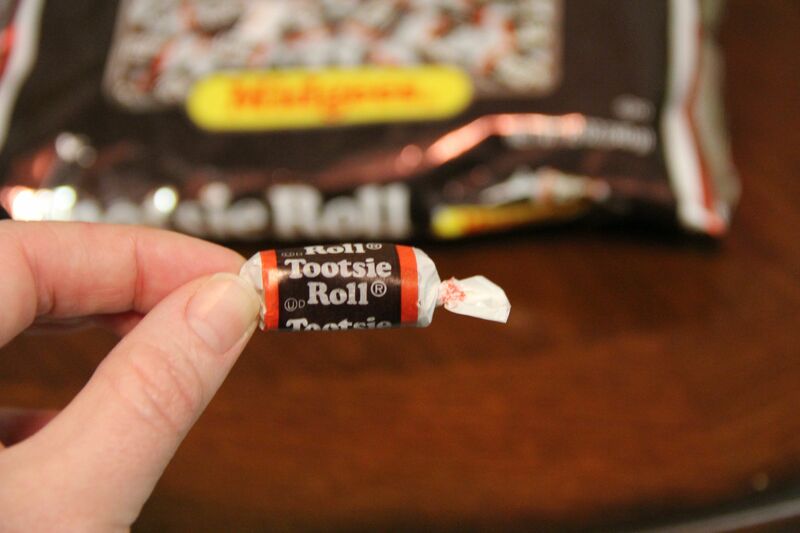 Rotate the candy 90 degrees and gently roll it out the other way. 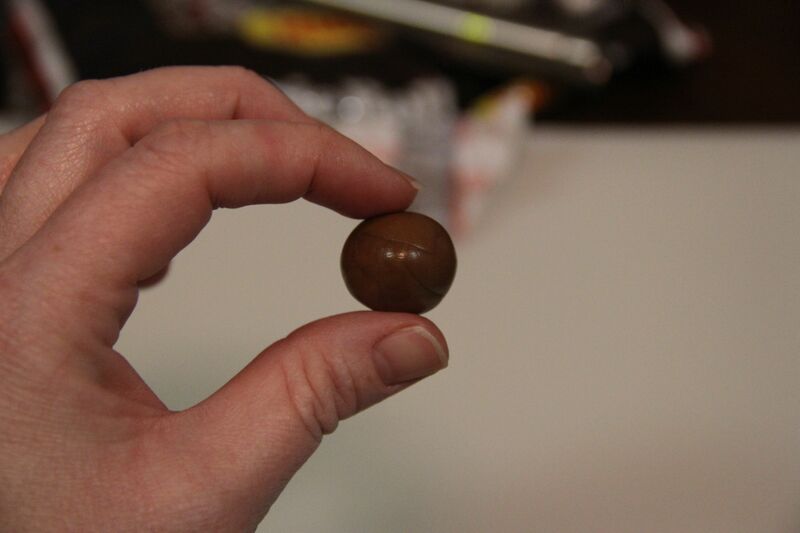 Keep on working with the candy, rolling it one way and then turning it 90 degrees and rolling the other way until it starts to resemble a football . 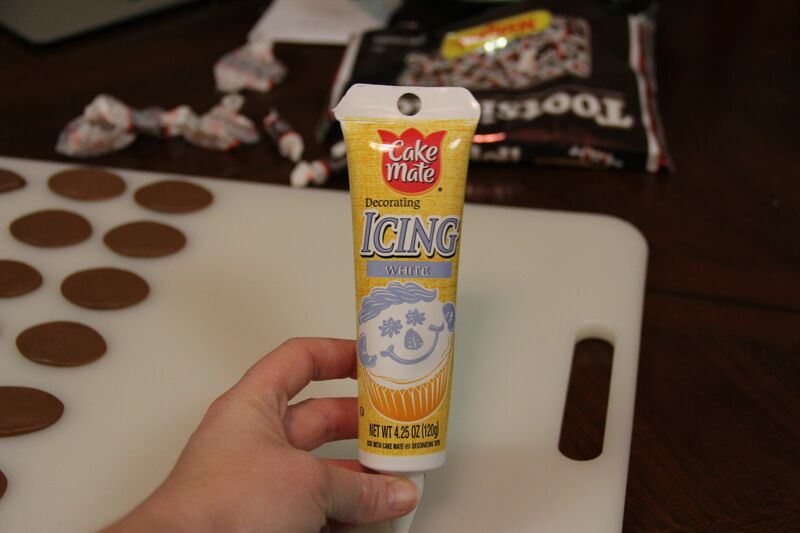 Use your fingers to mold it if it needs it. 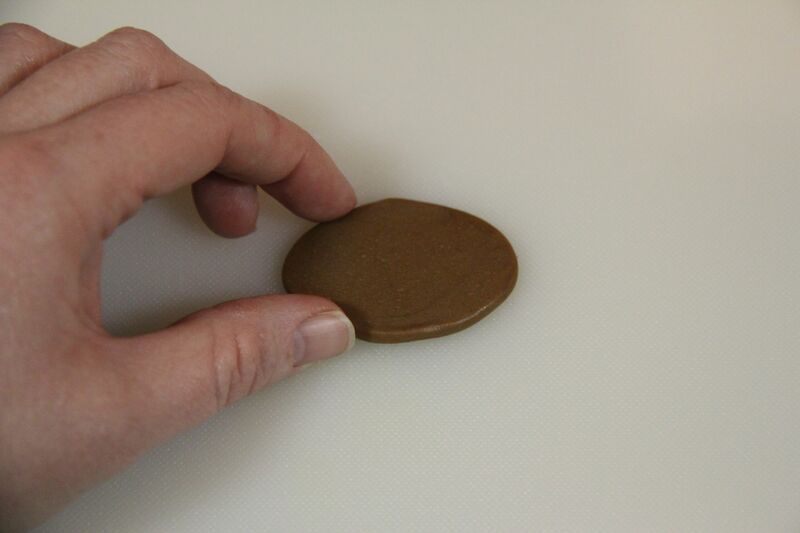 Once I got it into the shape that I wanted, I lightly ran the rolling pin over it one more time to smooth things out. Time for the laces! I look the lazy route here and used a tube of white frosting from the supermarket. They also sell little plastic piping tips that screw onto the top of the tubes of icing; I had these lying around anyways so I decided that I might as well use them up. 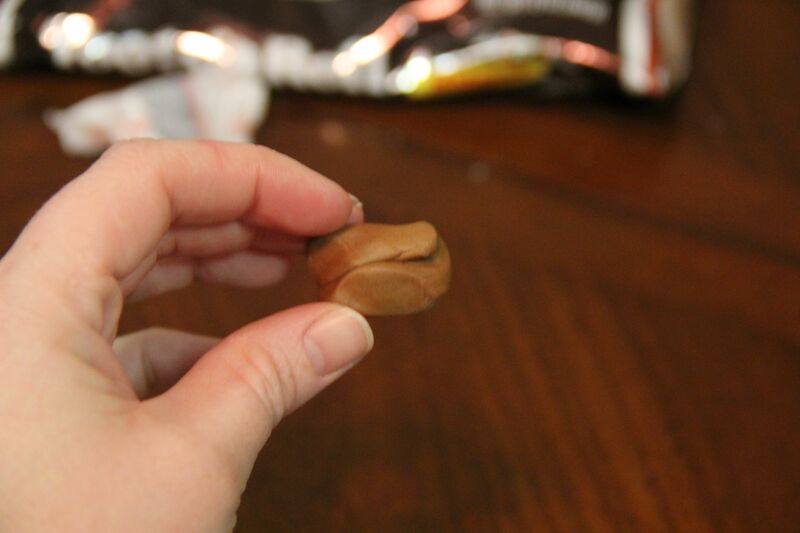 If you don’t have a piping tip, you can snip a tiny corner off of a (sturdy) ziplock bag, put the frosting in the bag and squeeze it out of the snipped-off corner. Note: I am (clearly) not a cake decorator, this is just what worked for me. If you know what you’re doing, just scroll down a bit because I’m probably just embarrassing myself. 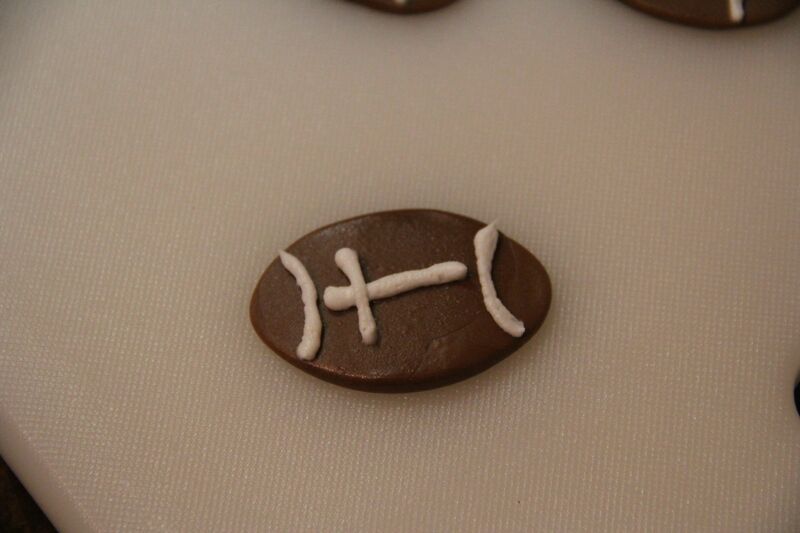 Play around with the icing a little to get the hang of it before you tackle (HA! See what I did there?) piping the footballs. 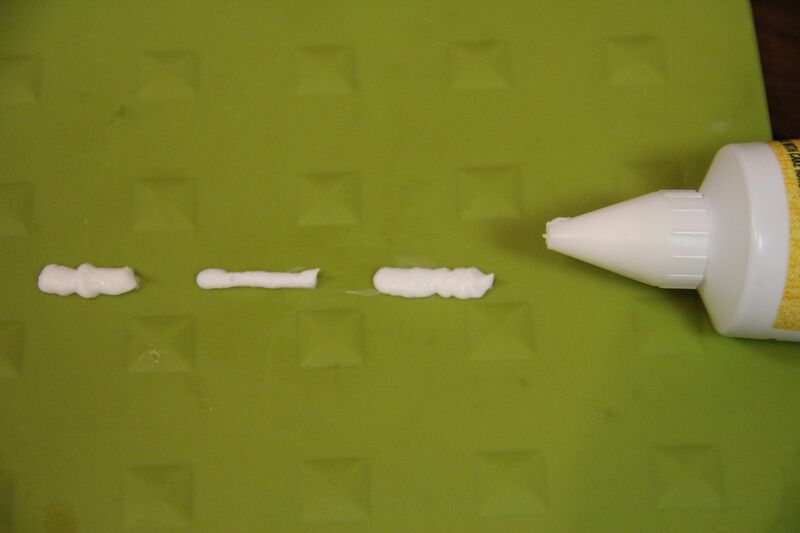 Hold the frosting at a 90 degree angle to the surface that you’re frosting. 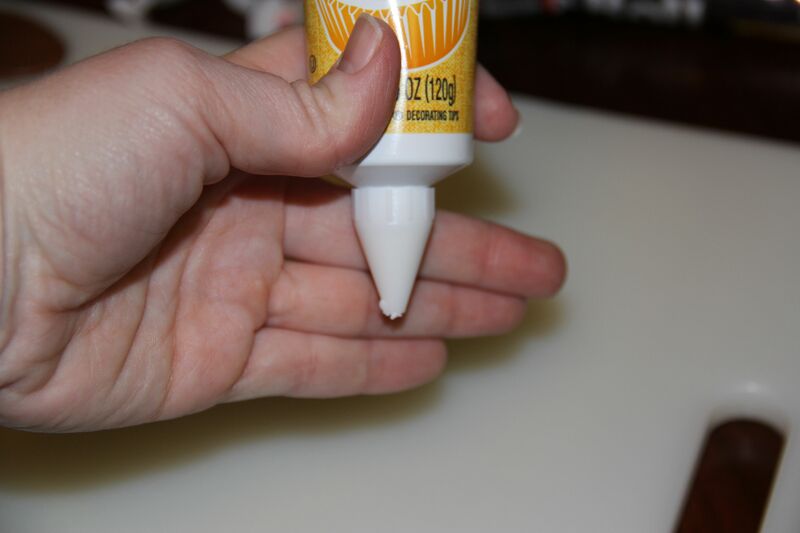 The harder you squeeze and the slower you move your hand, the thicker the piping will be. If you want a thin line, move your hand a little quicker. 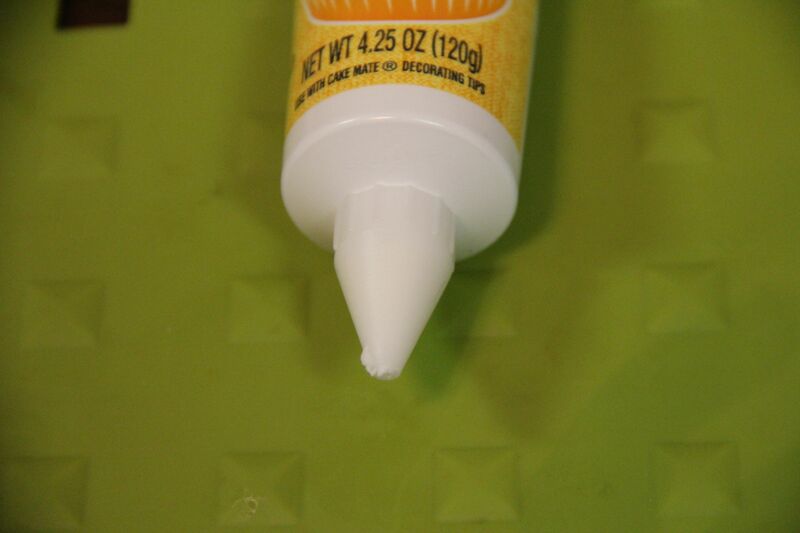 Once you have finished piping your line, push the tip down a little to make sure the frosting is stuck to the surface; otherwise it will lift up with the tip. 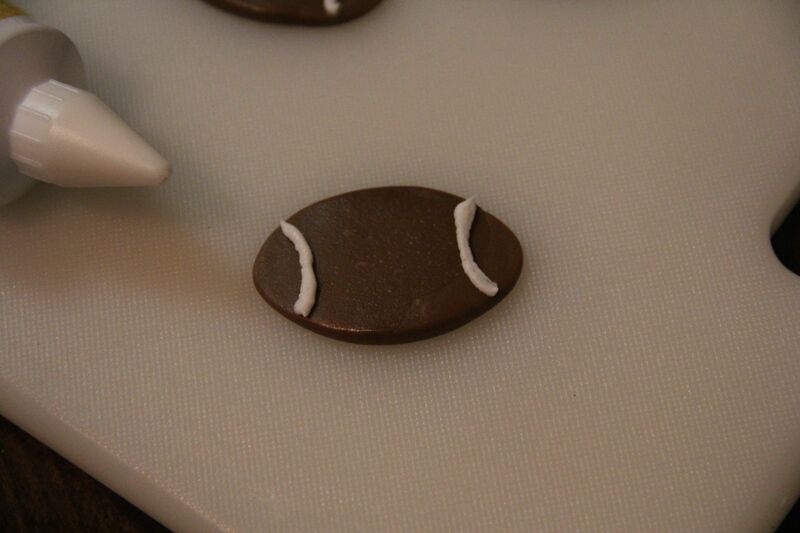 Once you feel comfortable with the icing, pipe a curved line on one end of the football. Turn it around and pipe another line on the other side. Now pipe a line across the middle. And three little intersecting lines on top. 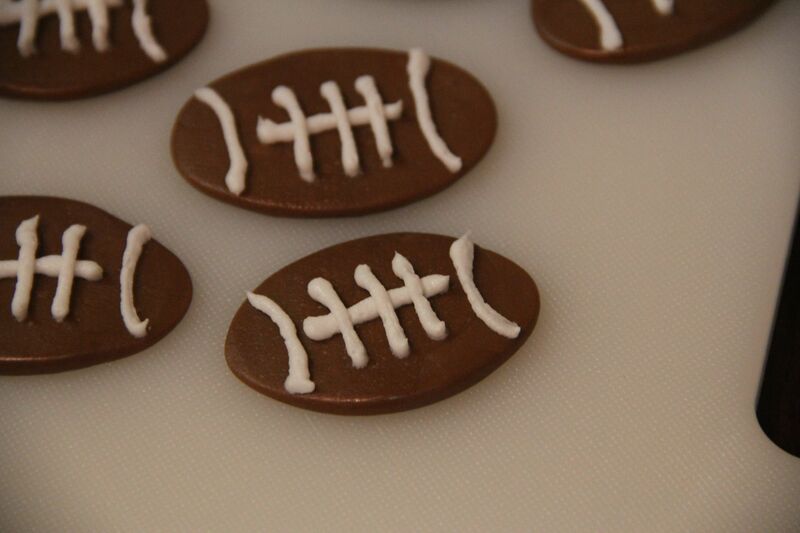 A herd of little footballs! Or is it a flock? I can never remember. 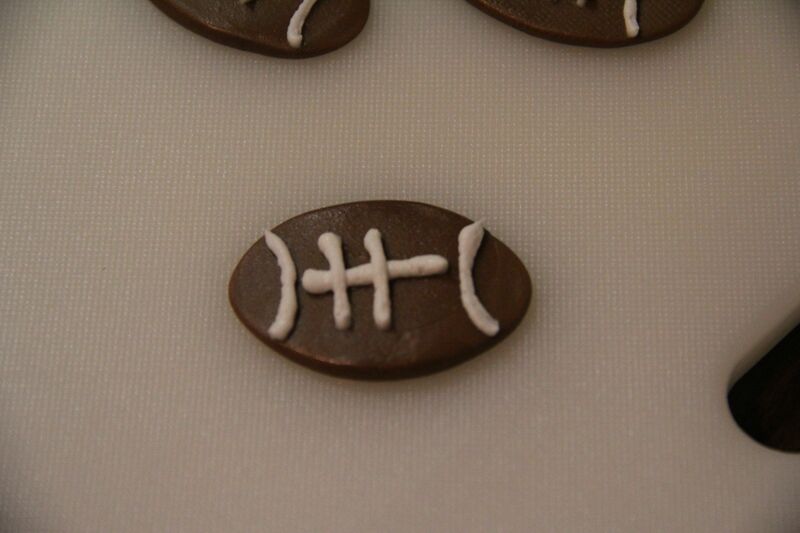 Then just frost your cupcakes and toss these guys on top. 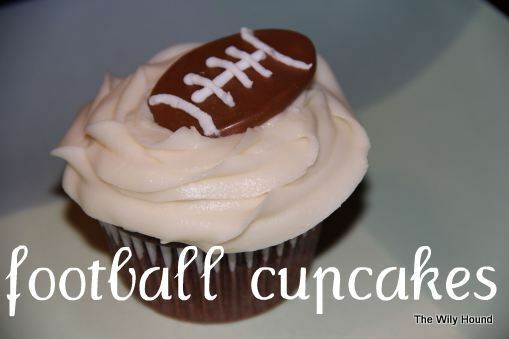 And then if your team loses, drown your sorrows in cupcakes. We’ll get ’em next year! Great idea!!!!!! Really cute – Cheers Chrissy! You probably shouldn’t try to mail cupcakes. Great looking cupcakes, nice job. Did they taste any good? Nope. They were mostly for show. 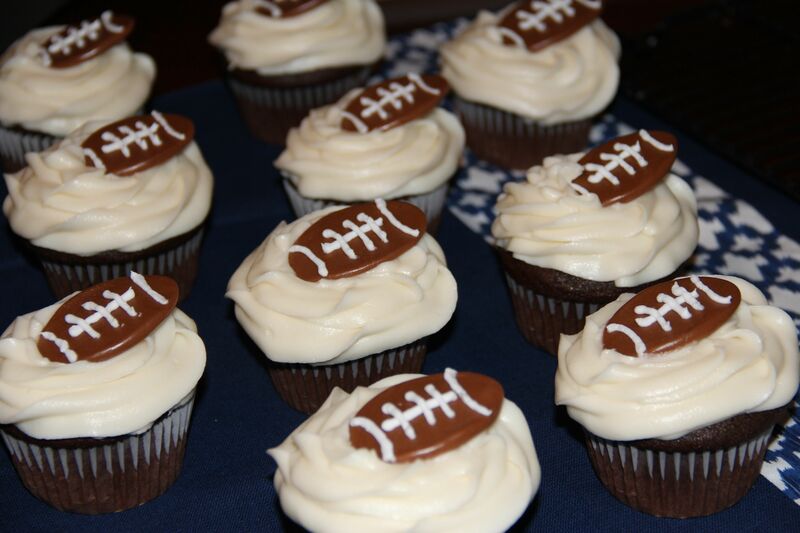 Now that we’re in the thick of football season again, I thought I would share these football cupcakes that I made earlier this year for a Superbowl party. 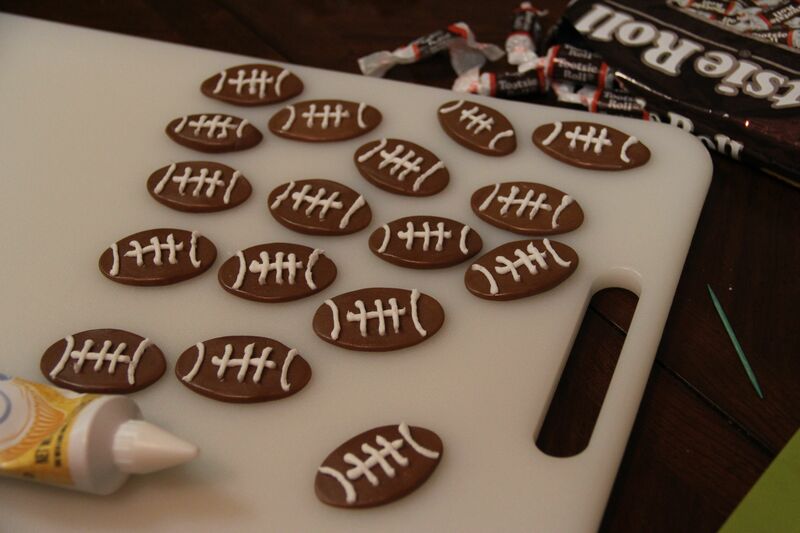 It doesn’t matter if your team wins or loses, cupcakes are always delicious.